New joint guideline from ASTRO, ASCO, and AUA offers an alternative to conventional radiation regimens for those patients who opt for treatment instead of active surveillance or surgery. Responses to a survey demonstrated oncology nurses’ perspectives on their training needs on how to effectively communicate with patients regarding disease prognoses, end-of-life issues, and survivorship care. 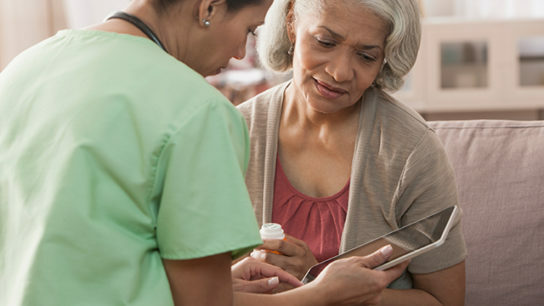 The roles and workloads of oncology infusion room nurses may be substantially altered by their participation in the CONNECT intervention. The nurse practice environment was the best predictor of poor-quality end-of-life care, according to reseachers. Prior assessment of patients and review of infusion orders by an interprofessional ACE team can significantly reduce patient wait times, prevent same-day inefficiencies, and reduce wasted chemotherapy doses. Gains against cardiovascular disease, especially in Western Europe, is likely a cause for the shift. Loss of appetite and not eating are difficult aspects of cancer for patients’ loved ones to understand. Continued and diligent nurse education can help both patients and families cope with this disturbing effect. The simple childhood pleasure of a coloring book and crayons—or colored pencils, as in this case—provide the foundation of a unique support group for patients with cancer and their families.